A New Rompa Corner Is Being Installed In The Resource Centre! 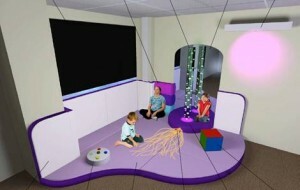 The Resource Centre Will Be Temporarily Closed On The 07th & 08th July To Have A New Sensory Corner Installed. The Advice & Information Officers will be based in the Donald Winnicot Room (Opposite Reception on the Ground Floor) You can visit us there. Win a free Family Break! All members of the Key are Champions! 1. Join The Key and Fill in the competition slip – tell us what makes the young person you know a Key Champion? 2. Send the slip to The Key with a picture of the young person or of something they like. Remember to tick and sign consent. 3. Get everyone you know to ‘LIKE’ your entry on The Key’s Facebook site www.facebook.com/hmedialeague. Tiny Tatiana wants YOU to enter this competition. She was entered by Positivo because she is so good at making friends… even with people who have been mean to her. You can enter yourself! What are you are a champion of and why? When or how did you realise that you are a champion? Tell us how amazing you are! Enter now! CLOSING DATE 18th July 2014. The Key thanks KENCH HILL ACTIVITY CENTRE who has generously donated the FAMILY BREAK FIRST PRIZE. Find out more about Kench Hill’s accessible breaks; call 01580 762073 or go to www.kenchhill.co.uk. Are you a member of the Key? if you register with the Key, you and your family can enjoy £5 theatre tickets. Mouse trap Theatre Projects wishes to invite you and your family to take part in Family First Nights this summer. You can enjoy one of 29 exciting theatre productions across London with all tickets just £5. Families can include parents, grandparents, aunts, uncles, guardians and carers, but half the group MUST include young people between the ages of 3 and 17. If you would like to apply for tickets or to find out more, please call the Key on 020 7014 7007 or the Resource Centre on 020 7014 7005/6. You cannot apply if you have taken part in Family First Nights before. They check all applications against their database of previous bookers. Hackney Parent / Carer of a child with a disability and / or Special Educational Needs? Want to know more about the planned legal changes for meeting the needs of children with special educational needs (SEN) from September 2014? Please call Jenny at HPPS on 020 7014 7123 to let us know you are coming, especially if you need an interpreter or have any special needs yourself. The Way Ahead – What you need to know about Local Services in relation to SEN legal changes. Please note that due to the Teachers’ strike on Thursday 10 July, crèche provision will be available for all children during the conference. Do you have concerns about your child’s eating habits? Would your child benefit from doing more exercise? The healthy Lifestyles Project offers the opportunity to help children lose weight and to be healthier. Attend 9-10 FREE EXERCISE SESSIONS WITH HEALTHY EATING ADVICE! Does your child lack Physical Exercise, Motivation or Confidence? We offer a range of physical activity classes with a focus on exercise to keep fit and to encourage a happier healthier lifestyle.